One of my New Year's resolutions is to finally try out all of those nifty DIY projects I've collected on Pinterest over the past two years. 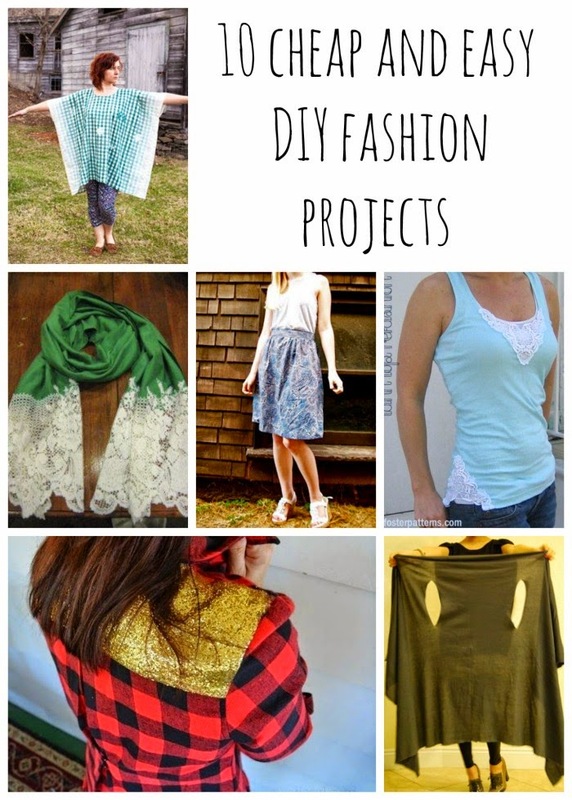 Sure I've tried my hand at a few Pinterest projects but this time I'd like to try out some more practical crafts like DIYing some clothes. Check out these great finds. Click on each image to get to the original pin- from there you will find the link from which it came and also similar pins. Enjoy! 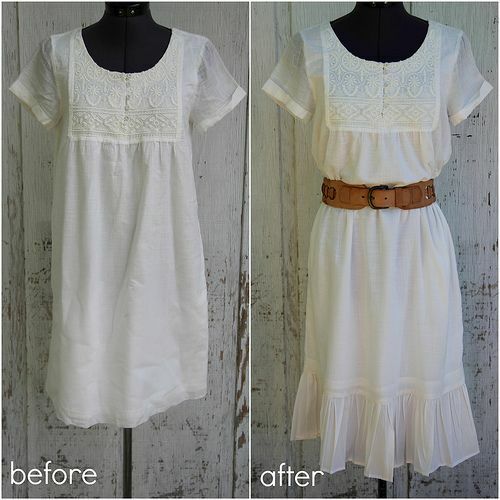 I have a dress rather similar to this one and it became shorter and shorter after each washing. Now it's practically a shirt. Adding a good length of ruffle at the bottom of that dress would definitely help me salvage it. This project is also good for turning blouses into tunics, tunics into dresses and too-short dresses into something a little more modest. I recently ordered a couple of cheap plain cotton scarves from eBay and I've avoided wearing them because they're a little too bland for my taste. 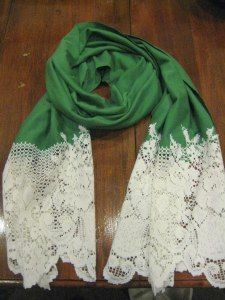 Adding lace from perhaps an old table cloth or curtain would be a great way to add some flair to those boring scarves. 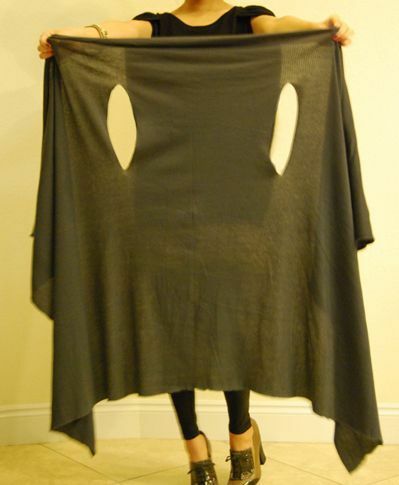 I'm totally digging this men's-shirt-turned-skirt project. 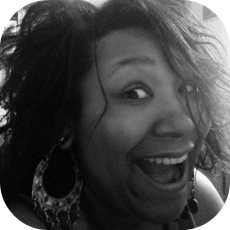 My husband is pretty slim and I'm, well... not slim at all, but I do have a few thrifted over-sized button up blouses I've been wanting to do something with. Looks like I've found what to do! This project is friggin' awesome. Two scarves sewn together to make a swimsuit cover. 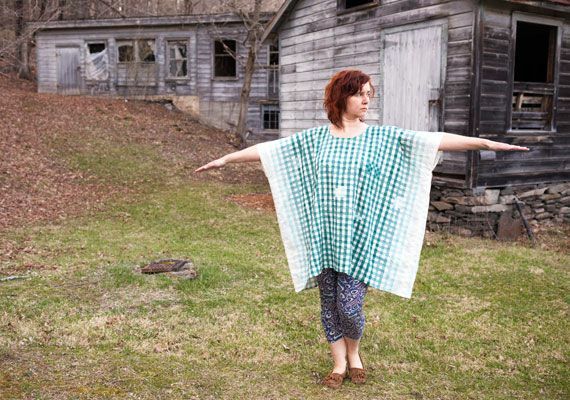 Well, you might see swimsuit cover but I see a great caftan for daily wear. This is totally my style and I'm going to be all over this project like white on rice! 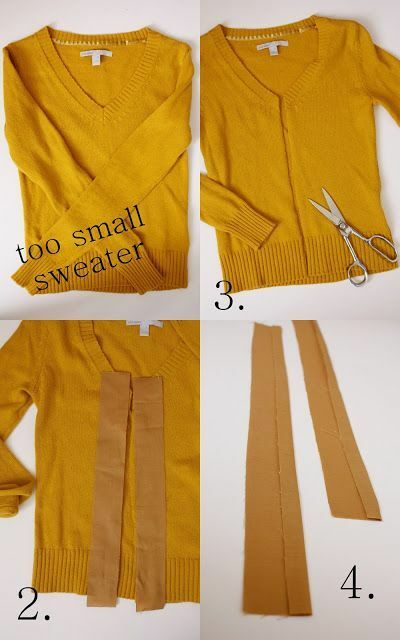 Turning a too-small sweater into a cardigan is perfect for me! After two back to back births and a 50 lb weight gain that's overstaying its welcome, I've got a closet full of too-small sweaters. A pashmina shawl-turned-vest is just plain epic. 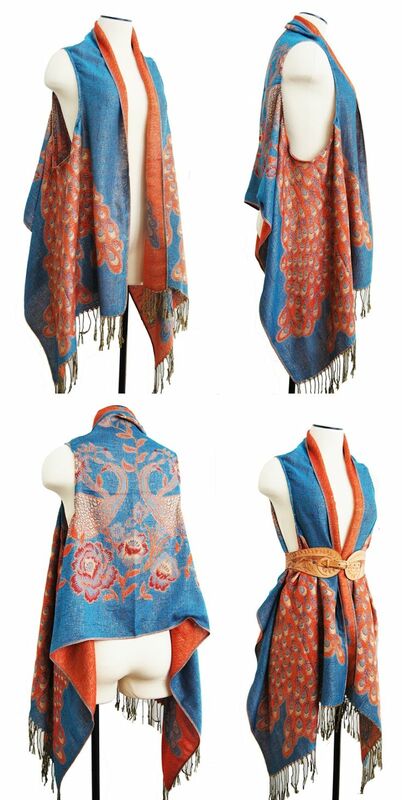 I own many shawls like this so this is a groovy project I can't wait to try. I'm kind of a compulsive tank top buyer. When they're out of season, you can get them for a buck or two at Walmart and I can't pass up that deal. The problem is now I have a dozen tanks and they're all pretty boring. Once again, it looks like adding lace is the things to do. 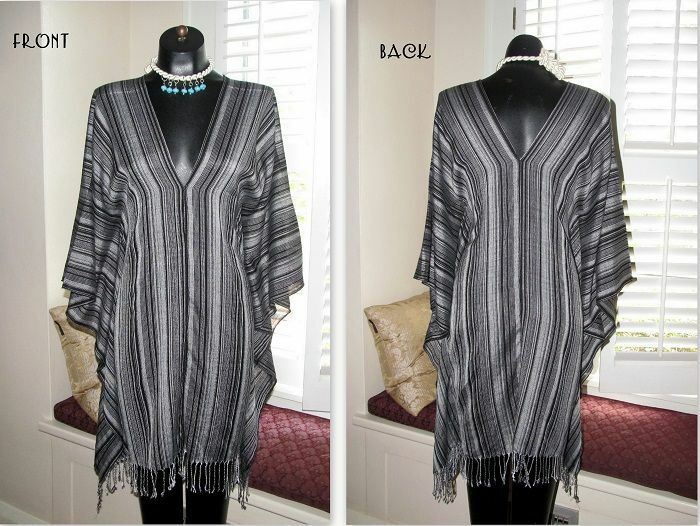 Here's another caftan style top, or "square dress" as they call it. This project has a few more steps than the last caftan made with scarves, but it's a different look and I'm excited to try it out. Here's another vest, but this one is made from a much wider scarf that will result in a totally different look from the shawl-to-vest project previously listed. 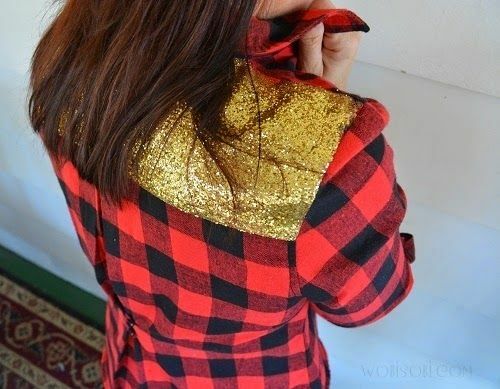 Glitter back flannel shirt. I love flannel shirts and I love glitter! This one's a winner! Heck, I'm going to do this to all of my shirts!